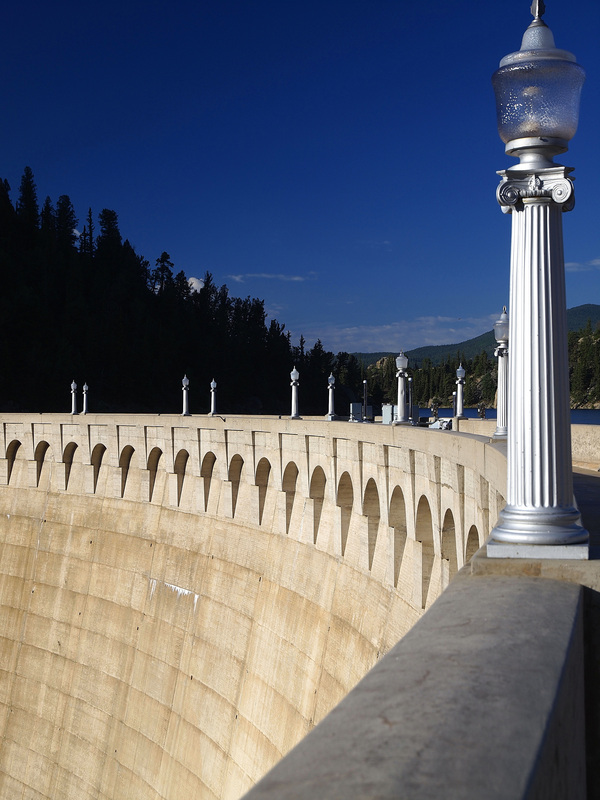 Completed in 1932 after two years of construction at a cost of only $1.5 million, Eleven Mile stands 135 feet above the South Platte riverbed. 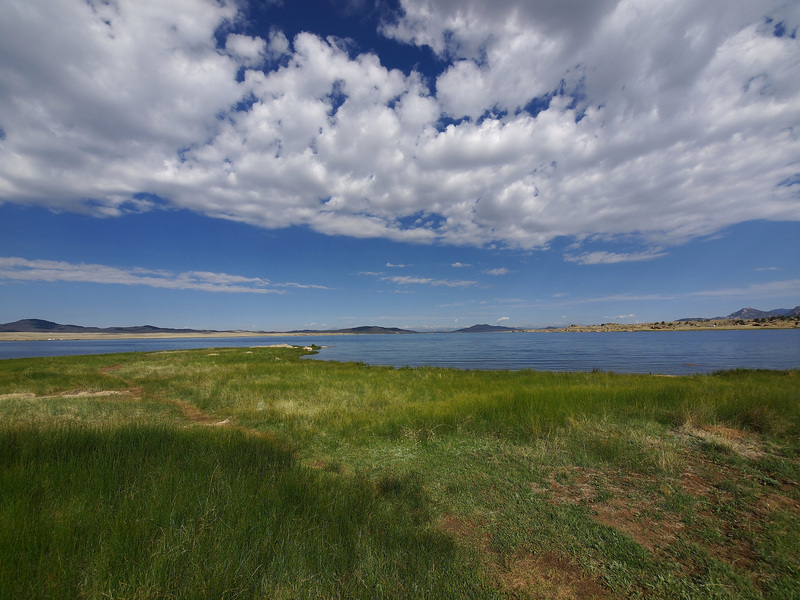 The 6-mile-long reservoir is second largest in Denver Water's system and one of the largest bodies of water east of the Continental Divide. Boating and personal watercraft: Power boats, canoes, sailboats, windsurfing and jet-skis are permitted. All islands within the reservoir are closed to public use. For details on boat rentals, visit the Eleven Mile State Park website. Boat ramps: May not be used for most motorized craft when the water is at the following elevations: North Shore campground – 8,571 feet; Witcher Cove campground and Little Cove – 8,594 feet. Fishing: Rainbow, brown and cutthroat trout; kokanee salmon; northern pike and carp. Ice fishing when conditions permit. Picnicking: Areas available for day use. Hiking and biking: The area offers 5 miles of scenic trails. Special events: Require a permit. Fee area: Park pass necessary. Help us improve your recreation experience! Have you visited recently or planning to visit soon? Please give us feedback. Take Highway 285 to Fairplay. About a mile south of Fairplay, veer southeast on Highway 9 toward Hartsel. After about 15 miles you will reach a stop sign at the intersection with Highway 24. Turn left (east) on Highway 24. Drive on Highway 24 for about 10 miles. On your right you will come to the road to both Eleven Mile and Spinney reservoirs. Take that gravel road to Eleven Mile State Park. All pets must be kept on a leash and under control at all times. Clean up after pets. Prohibited: Swimming, wading, scuba diving, wind surfing and water skiing; discharging firearms, except when hunting. State traffic and game laws apply unless otherwise specified. It is unlawful to use, light or ignite fireworks or explosives of any type. All special events require a permit. 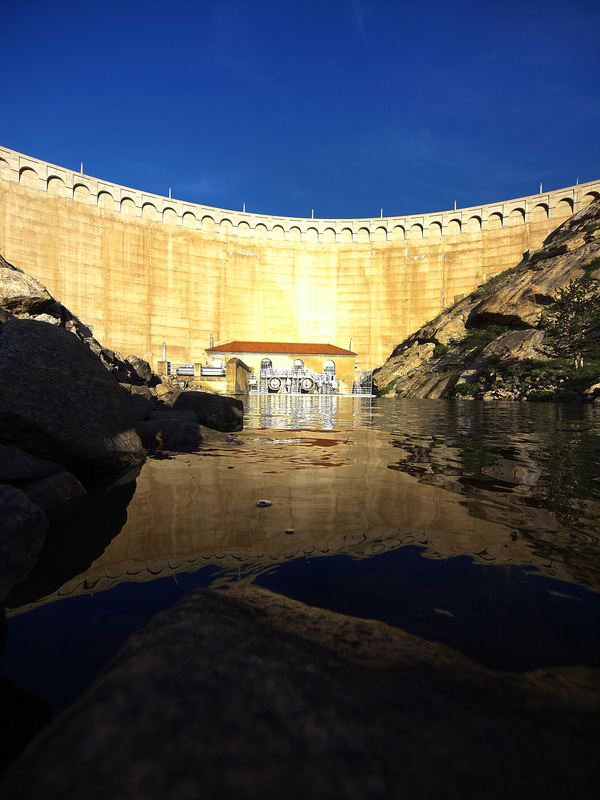 The reservoir is closed to boating from one half-hour after sunset to one half-hour before sunrise daily. Boaters must observe Colorado boating statutes and regulations. PFDs (personal flotation devices) must be worn at all times by children 13 years and under. Windsurfing or use of a personal watercraft, like a jet ski, is allowed with a full body wetsuit. Boat docks are for loading and unloading only. There is an enforced five-minute use limit while mooring at the dock. Islands within the reservoir are closed to public use. It is unlawful to operate a boat under the influence of alcohol or drugs. 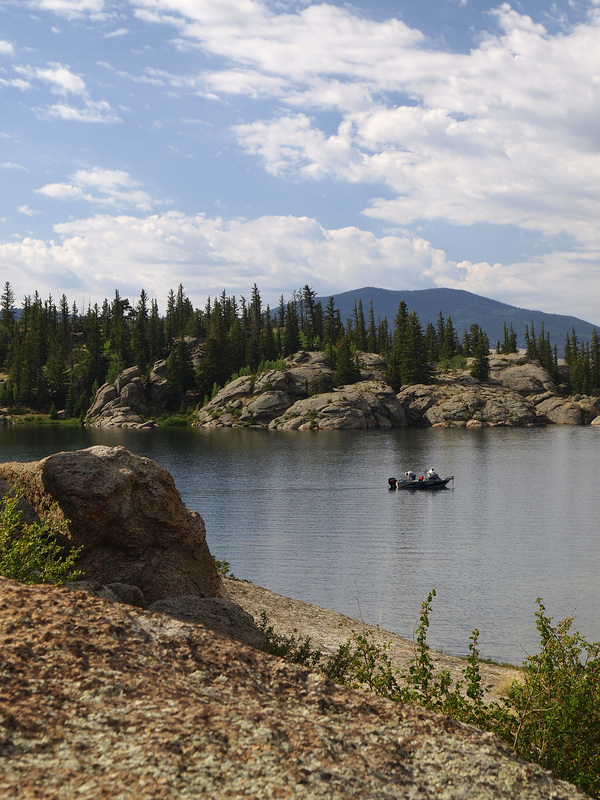 All trailered boats will be subject to mandatory aquatic nuisance species inspections, conducted by Colorado Parks and Wildlife in cooperation with Denver Water. A maximum of six people, two motorized vehicles and one camping unit allowed per site. All types of camping are restricted to a total of no more than 14 days. Following the 14-day period, person(s) may not relocate within the area for seven days. Visitors are required to display a vehicle pass and camping permit. All vehicles must be kept strictly on campsite parking pads. To preserve natural vegetation, do not tie or attach anything to plants or trees. It is illegal to dump waste or sewage, including dishwater. Toilets, showers and laundry facilities at the camper services building are closed from Oct. 1 to May 1. Quiet hours are 10 p.m. to 6 a.m.
Trout daily bag/possession limit is four fish, of which no more than two can be 16 inches or longer. Northern pike has no bag/possession limit. Kokanee salmon daily bag/possession limit is 10 fish at all times of the year; snagging is allowed east of the inlet buoy line: Oct. 1 - Dec. 31. Ice fishing allowed only when conditions permit. Denver Water does not monitor ice conditions; it is important to be aware of changing conditions and proceed at your own risk. Only portable ice fishing shelters are permitted and must be removed from surface of lake when not in use. The use of live minnows is strictly prohibited. Fishing guides and outfitters who use the park for commercially guided fishing or recreation activities are required to purchase a special-use permit. Please contact the park office for more details at 719-748-3401. 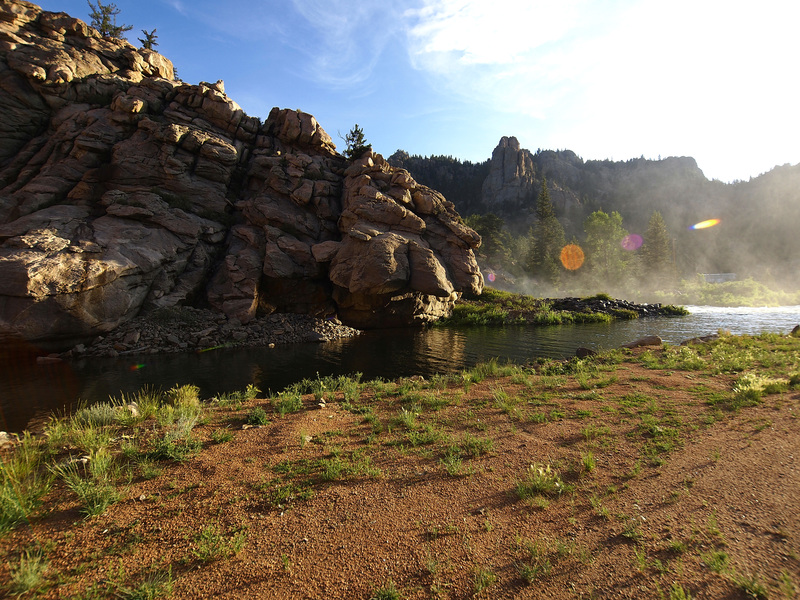 Check with Colorado Parks and Wildlife for a complete list of all fishing regulations. Denver Water (owner and operator): 303-893-2444 or Customer Care Contact Form.